I love this image. I love the car, the setting, and the curious History of the Future story behind it. Meet Bombshell Betty. 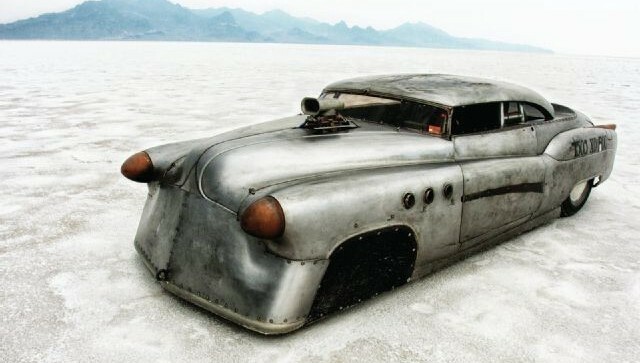 For me, passion, inspiration, and craft drip from every rivet of her re-fashioned sheet metal and with the background of the Bonneville Salt Flats, she looks spectacular! 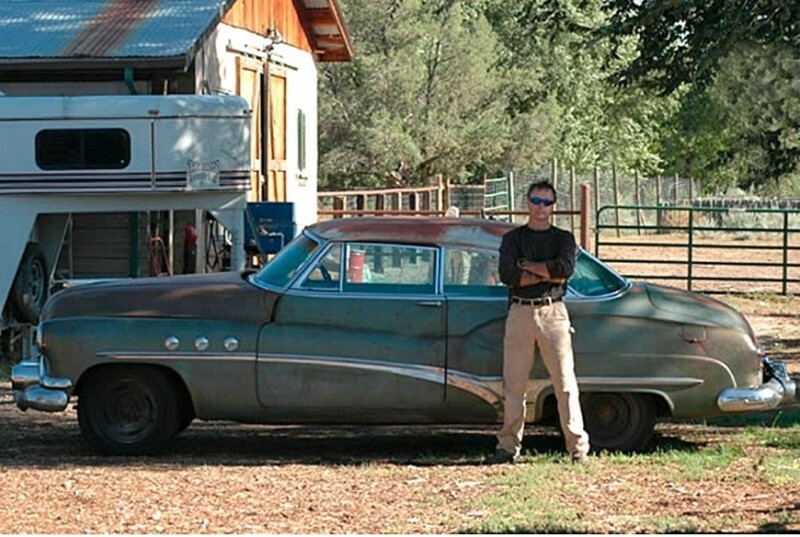 Betty is the handiwork of sculptor, designer, and car enthusiast, Jeff Brock. This is another in a series of posts that document the unique stories of our everyday things, the bonds that we form with them, and the emotions we have for them. 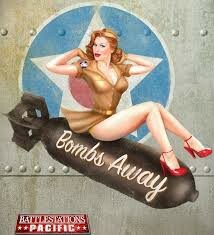 So, here is Bombshell Betty’s story. 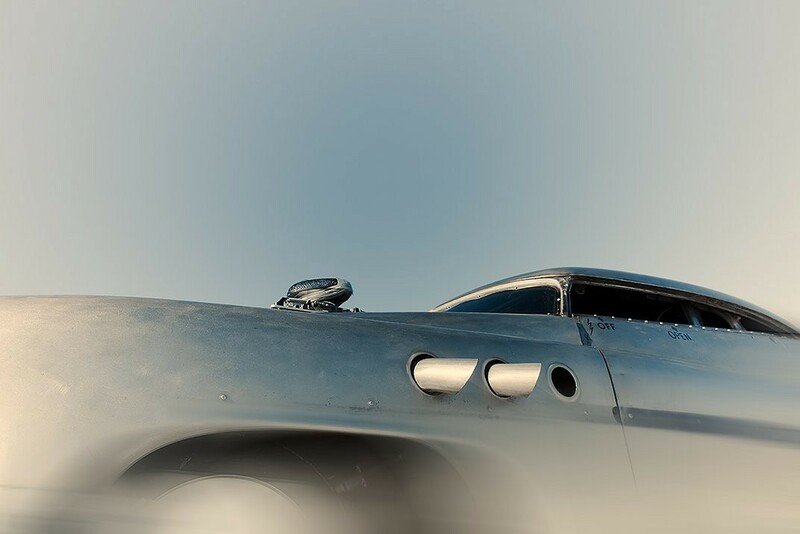 As it turns out, beneath Betty’s heavy makeup is a 1952 Buick Super Riviera, that sailed to two land speed world records at speed paradise — Bonneville Salt Flats. Since then, this car has become a bit of a celebrity in the world of hot rodding with its amazing blend of custom styling and speed — beauty and talent if you will. At a glance the it sports bespoke and aerodynamic modifications fitted to make her slippery in the thin air of Utah’s salt flats. Wearing a faux patina to make her look as if she had been through a war, Betty is clothed masterfully in a stylistic mashup of WW2 fighter plane and Hollywood-style post-apocalyptic improvisation. This model Buick Riviera, the “Super”, was a “sporty” mid-priced two-door coupe designed to capture the imagination of the millions of newly minted post-war middle-class American consumers. At around $2,000, the Super was styled to appeal to America’s new taste for speed, travel, and glamour. Sporting a faux “bombsite” on it’s hood, and faux side exhaust ports, the General Motors stylists and Madmen marketers adopted a styling language that would appeal this new prospering American class. The war generation was on the move and would easily understand the stylistic references to the sleek fighter aircraft they commanded in their conquest of Fascism less than a decade earlier. Now facilitated by thousands of miles of newly laid interstate highway, they were off on their quest to build a new America in style. Fast forward to 2008, and we find Jeff Brock, a sculptor and designer from Sante Fe, New Mexico standing next to Betty in an abandoned lumber mill in Phoenix, Arizona. Inspired by the “Fastest Indian” a movie starring Anthony Hopkins, Brock was determined to pursue his own dream of conquering the Salt Flats, though battleship-sized ‘50’s sedans were hardly meant to go 165 mph. .
After returning to his home in Flint Michigan, Brock and his friends embarked on a ninety day to prepare Betty for her debut. Together they went on to win numerous in-class land-speed records. 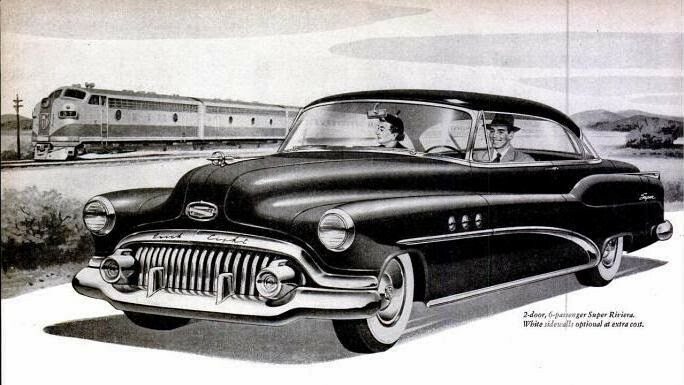 For me, this particular 1952 Buick Super Riviera possesses two very compelling American design stories. First is the story of post-war America and the new American consumer society. It was a time when American industry took center stage while much of the rest of the world rebuilt. It was a time Americans knew anything and everything was possible. And finally it was a time when modern American consumer culture was fashioned and manipulated in the corporate board room and designers of all ilk became central players in the quest to satiate burgeoning consumer hunger. Here, design becomes servant to the pressures industry and mass consumerism largely at the expense of individual expression. On the other hand, I see Brock’s individualistic work more the product of a time when individual craftsmen toiled over individual objects — iteration after iteration becoming more refined. I also see the individualistic spirit of American backyard design and innovation that has been the source of so much of our industrial and technological innovation over the past two centuries. Bombshell Betty is an amazing, funky and beautiful example of backyard designers and innovators creating technically sophisticated objects through trial and error, with a high degree of craftsmanship and executed in beautifully expressive ways. For me, that is design. An architect and designer, Robert Kelly’s endeavors merge at the intersection of creative design thinking, social impact and business.